In 1957 gas was 24 cents/gallon, a loaf of bread cost 12 cents, Dwight D. Eisenhower was President of the U.S. and South Bay Cable opened its doors. A lot has changed since 1957, however the basic company principles have remained steady; innovation to meet customer requirements. From humble beginnings, founders Gordon and Joyce Brown designed and laid up customer specific cables in their garage in Southern California. These first cable products consisted of standard off-the-shelf electrical components that were readily available. By arranging various elements together, a cable specific to the customer’s needs, could be built. The demand for specialty cables quickly grew and more than garage space was needed. In September 1957 the company relocated to an industrial facility in Gardena, Calif. By the late 60s South Bay Cable had outgrown the Gardena facility and in 1970 the company relocated to its present location in Idyllwild, Calif. Idyllwild is a small mountain town approximately 100 miles southeast of Los Angeles. In 1986 a second manufacturing facility was opened in Temecula, Calif. The two facilities are located within 50 miles of each other and have complimentary capabilities. The earliest cable constructions consisted of different types of military specification wire and specialty electrical components, which were designed by South Bay. These components included electrical conductors for power distribution, signal pairs for voice and data transmission and coaxes for video. Many of these early cables were used by the U.S. Military and aerospace industry. Some of these early programs included the ground support cables for the Atlas silos, Americas’ first intercontinental ballistic missile; the second generation of the Minuteman program’s intercontinental ballistic missiles and Surveyor, the United States’ first robotic spacecraft, designed to test soft landings on the moon. Requirements continued to become more demanding, and the cables became more complex. These cables covered a broad spectrum of uses, which included a wide band of temperature ranges, electrical characteristics and mechanical requirements. 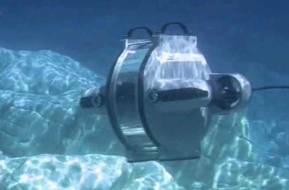 Many of the cables were being used in harsh environments and included both above ground and underwater applications. Working underwater presented a unique set of challenges including designing to withstand external hydrostatic pressure, water migration, fish bite protection and mechanical requirements. South Bay’s engineers identified materials which were best suited for this diverse product range, and their production department refined the manufacturing processes. 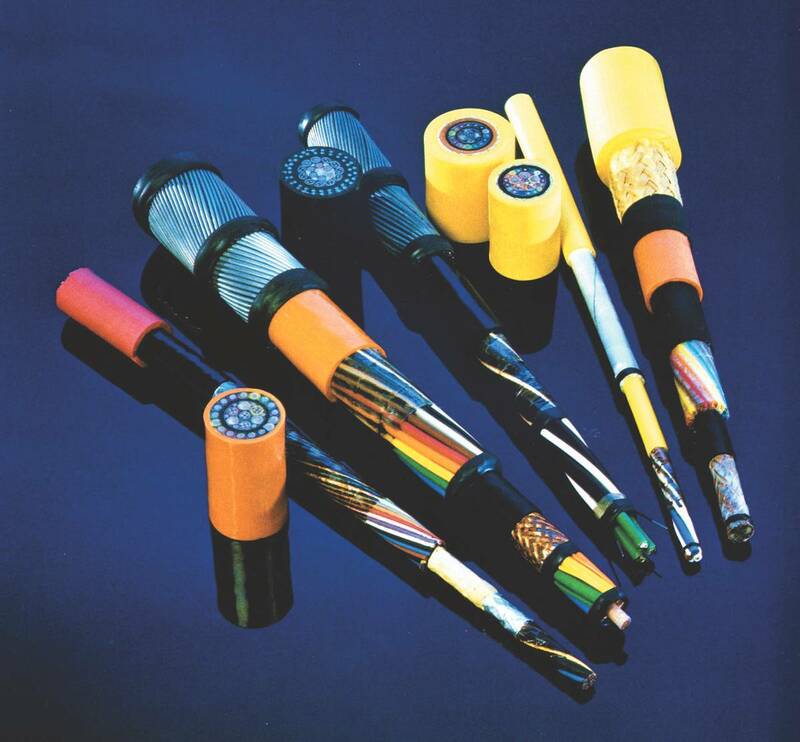 By the early 1970s South Bay Cable was designing and building cable for many of the pioneering companies in underwater technology. South Bay provided the interior and exterior cables for the U.S. Navy deep-dive personnel transfer capsule, created Sea Plow’s umbilical cable for the installation of transoceanic telephone lines and tether and umbilical cables for the then-emerging remotely operated vehicle market. As technology improved the push was on to build deeper systems, which needed longer cables. Conventional steel reinforced cables were simply too heavy, many of these longer cables were designed using new light-weight, high-strength synthetic materials. Synthetic strength members presented their own unique set of manufacturing challenges which required extensive prototyping, testing and building of specialized equipment. Today, South Bay Cable operates numerous production lines that can produce synthetic cables with strengths ranging from a few hundred pounds up to a quarter million pounds. The advent of fiber optics allowed the elimination of heavy signal and communication components which also helped further reduce cable weight. These advancements in materials and processing allowed South Bay to design and produce cables suitable for operation at full ocean depth in lengths exceeding 10 kilometers. Today, South Bay Cable continues to focus on highly engineered cables for use in dynamic applications including remotely operated vehicles, side scan sonar, tow systems, minesweepers, pipeline inspection, airborne aerostats and numerous military programs. From the drawing of the copper rod to the jacketing of the finished cable South Bay Cable has the production capabilities to perform nearly all manufacturing operations in-house. With a dedication to continually pushing the envelope through innovative engineering, ever expanding production capabilities, combined with thorough testing the possibilities are endless. This broad product base and commitment to quality and customer service, allow South Bay Cable to experience steady growth. With increased production capabilities and strong footholds in both commercial and military markets, South Bay looks forward to future challenges.